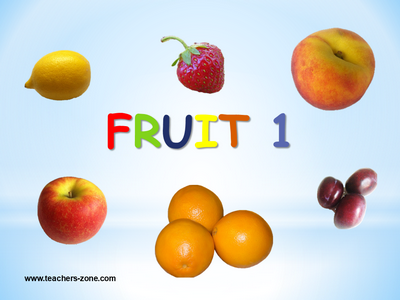 Introduce fruit with flashcards which contain labels and check the vocabulary with picture flashcards without names. Vocabulary: a lemon (lemons), a plum (plums), an apple (apples), an orange (oranges), a mango (mangoes), a peach (peaches), a strawberry (strawberries), a cherry (cherries), a raspberry (raspberries). Language focus: indefinite articles (a/an), plural forms. Click the image to download flashcards for fruit. Vocabulary: melon, grapes, pear, grapefruit, kiwi, coconut, pomegranate, pineapple, watermelon. 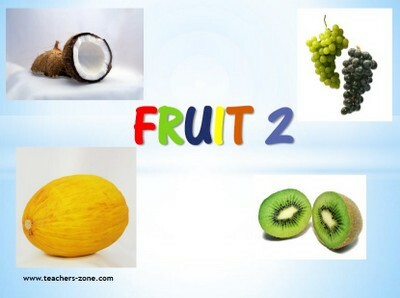 Click here to download flashcards for fruit 2 without labels. Vocabulary: banana, apricot, tangerine, lime, nectarine, passion fruit, fig, avocado, carambola. 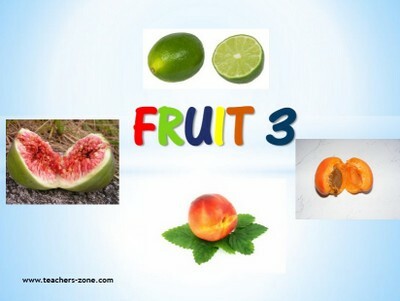 Click here to download fruit 3 flashcards without labels.